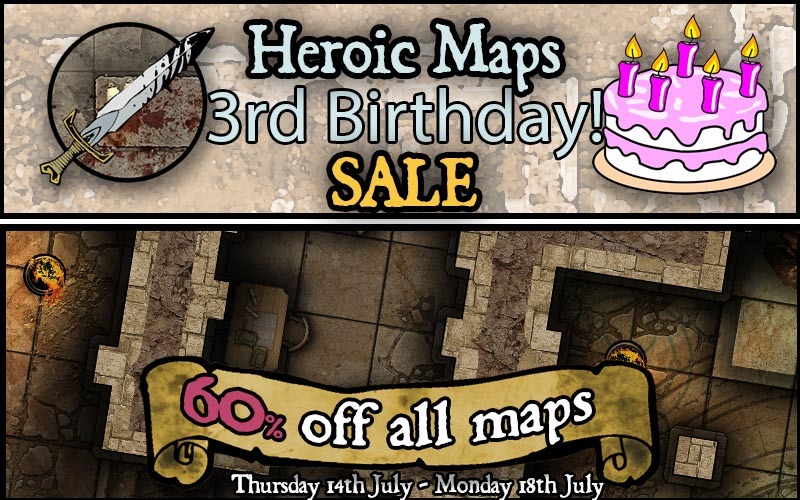 3rd Birthday Sale & Free Map! It’s our 3rd Birthday! Happy Birthday to us! And to celebrate, and thank everyone for all the support over the past 3 years, we have two special gifts. The first is a 60% sale – all our maps are discounted until Monday 18th July. 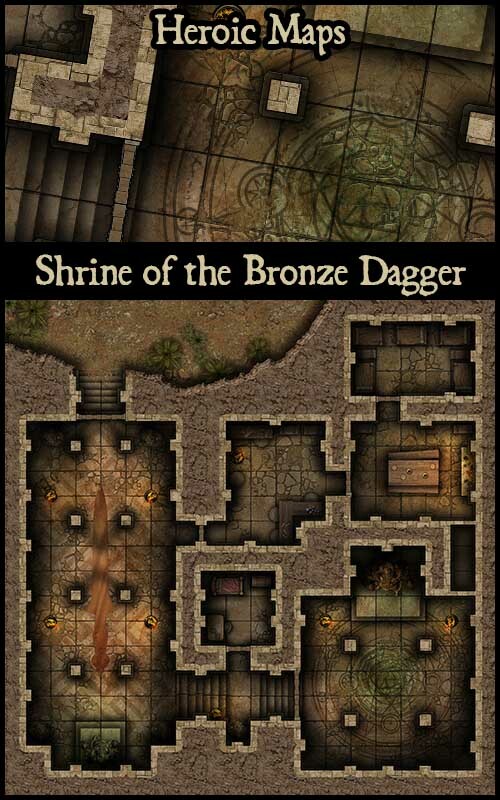 The second gift is a FREE 20×20 battlemap “Shrine of the Bronze Dagger”. So, thanks to all our customers, and here’s to another year of Heroic Maps!